My research focuses on black politics in the Americas. I examine black public opinion and black consciousness to determine how attitudes are influenced by the juxtaposition of national narratives of racial harmony and realities of structural racism. My study of black public opinion seeks to understand black political participation (both formal and informal) and anti-racist activism throughout the region, with a focus in the Spanish-speaking Caribbean and the United States. By focusing on untold and/or understudied black realities, my research contributes new data and theorization to the field of racial politics. 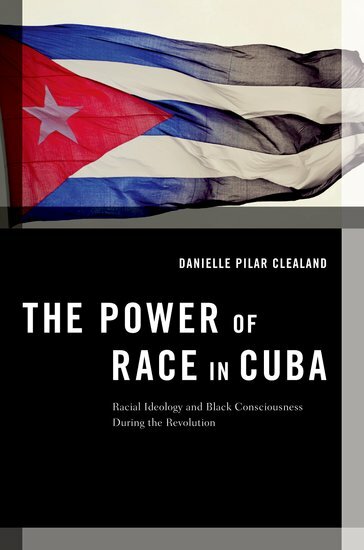 The Power of Race in Cuba creates a framework of how racial ideologies that negate the existence of racism influence racial attitudes and affect (and impede) racial progress. The book traces the history of racial discourse in Cuba and outlines how public opinion regarding race among blacks responds to this discourse. Through original survey data of black Cubans and interviews with Cubans of all races, including activist and artists, the book reveals the realities of black life in Cuba. The book emphasizes an underground critique of racism among blacks and calls for an examination beyond public activism and social movements to understand black politics both in Cuba and in the Americas as a whole. In collaboration with the University of Puerto Rico-Cayey and Mariluz Franco Ortiz, this project uses an original survey of afro-descendent Puerto Ricans to examine black public opinion, experiences with racism and racial inequality. The study represents the first project on the relationships between race, representation, partisanship and black group consciousness on the island. This project seeks to expand the study of race in Latino Politics to identify whether race matters for Latino political attitudes, partisanship and experiences with racial discrimination. Our research is focused on creating interview and survey data to understand the intersections between black and Latino politics in the United States. This work documents the experiences of black Cubans throughout the United States to create an oral history of a group that has often been excluded from the literature on Cuban Americans. It uncovers the black experience to fill gaps and compare their stories with the stories of political and economic success that characterize much of the scholarship.